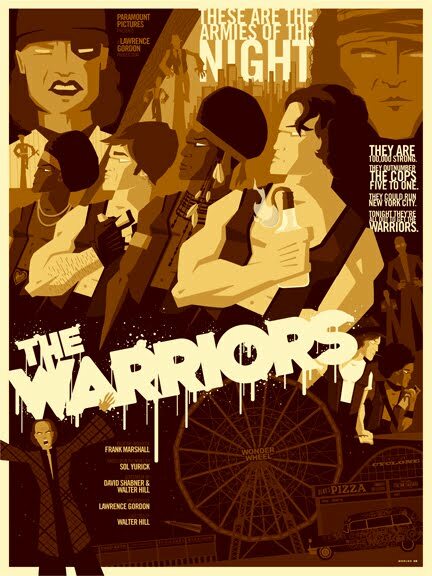 Walter Hills The Warriors is one my favourite damn films of all time. 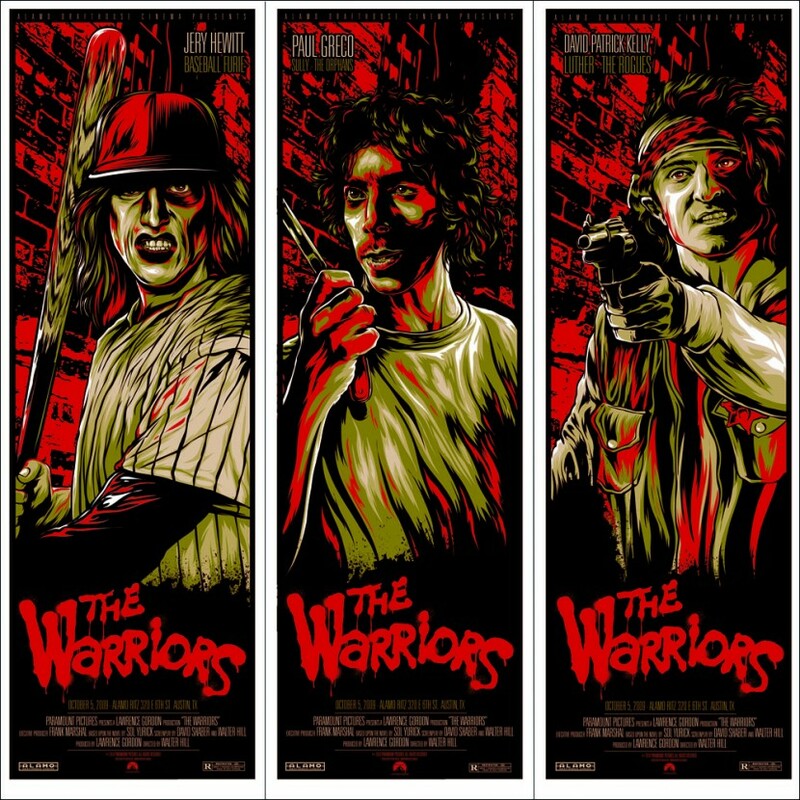 Even if you have never seen it you would have seen references to it in all kinds of movies. 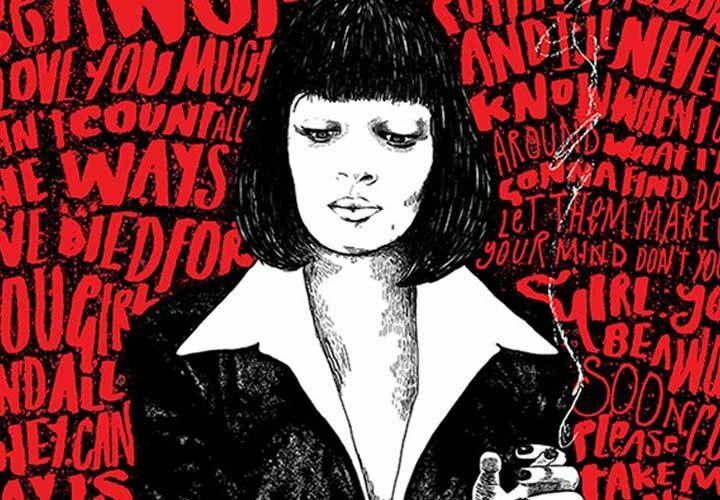 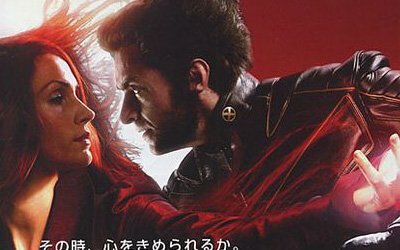 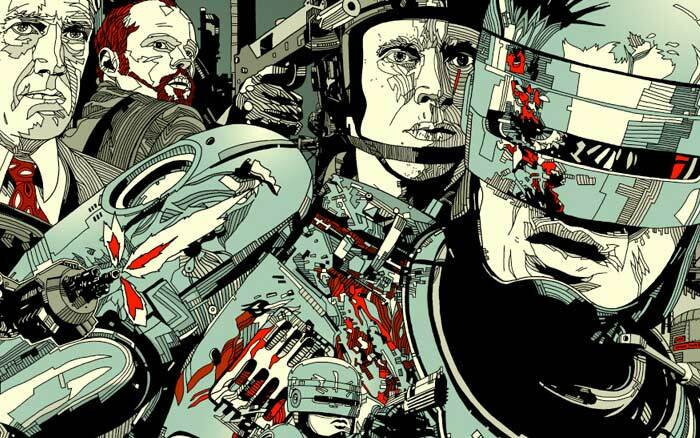 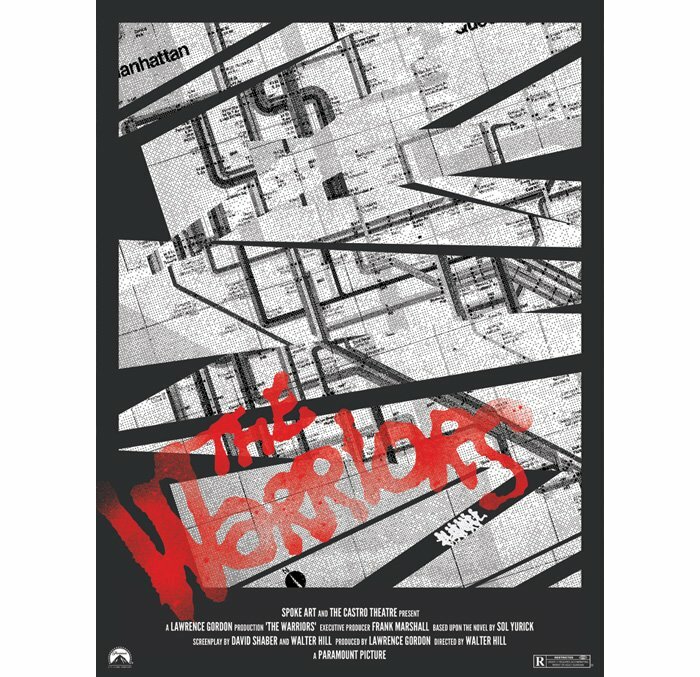 It lends itself pretty easy to alternate poster designs and we have selected some of the best along with some fan art and official poster designs. 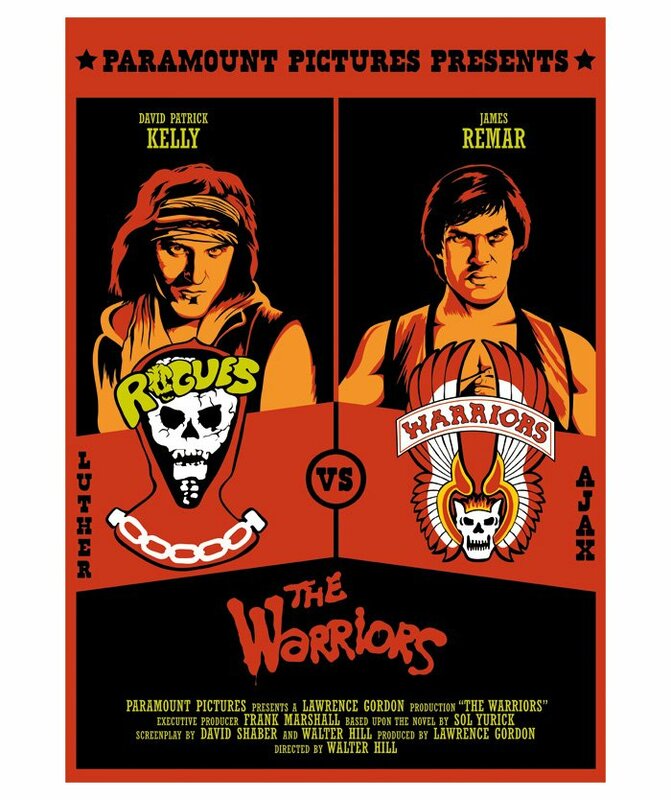 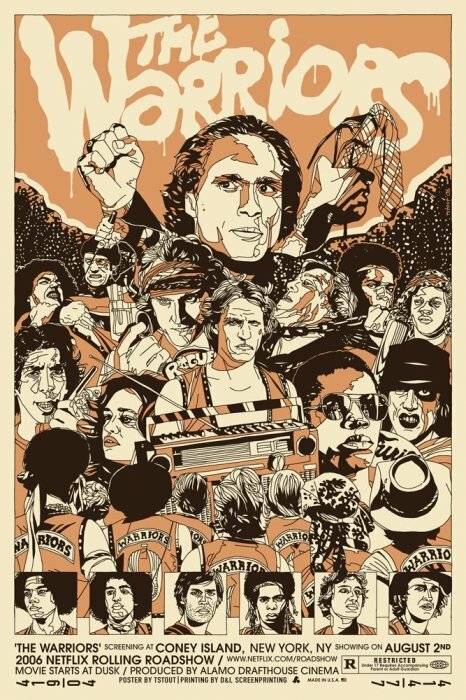 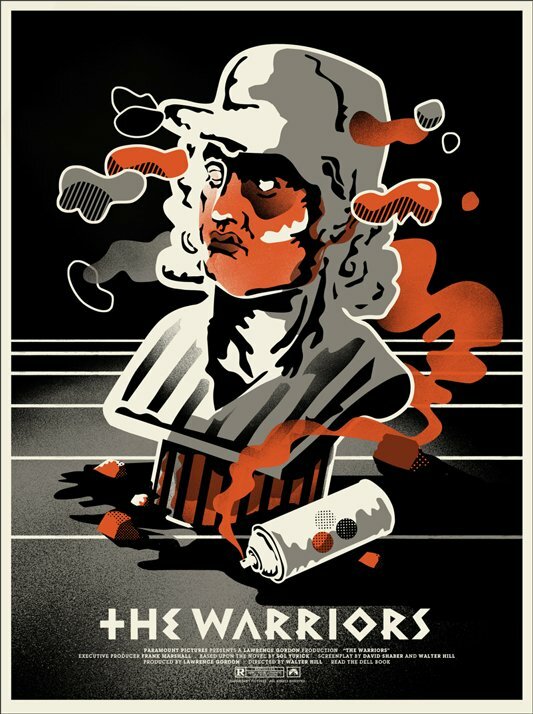 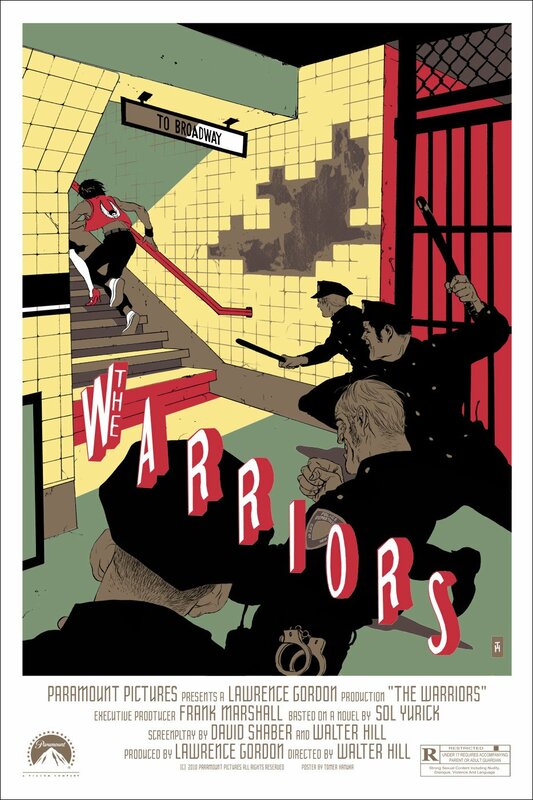 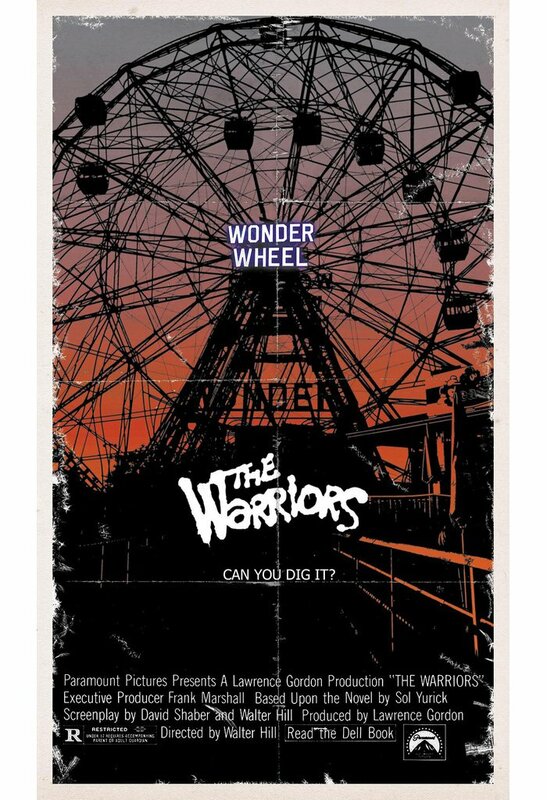 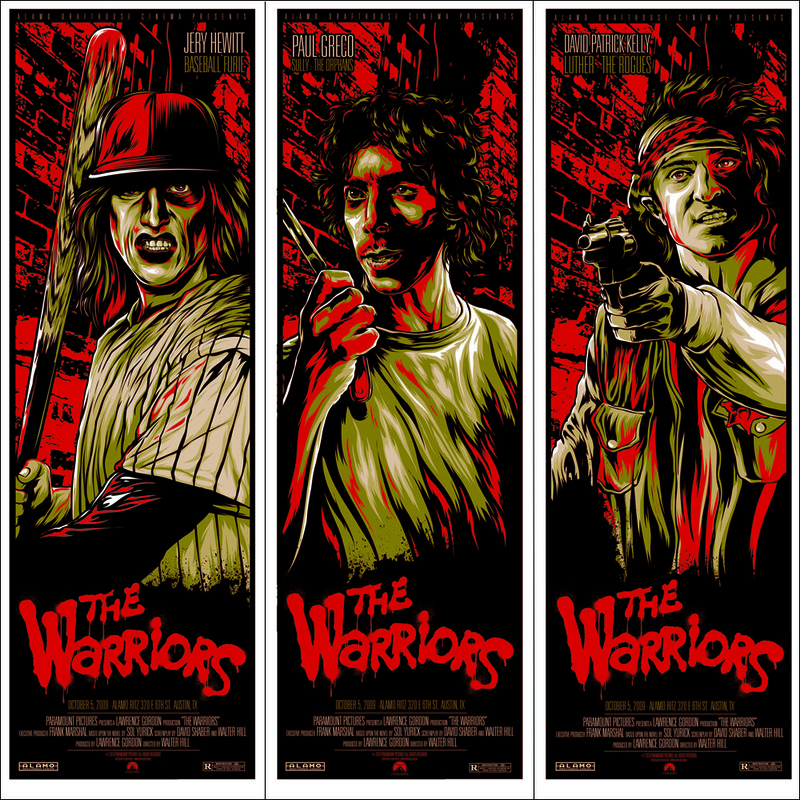 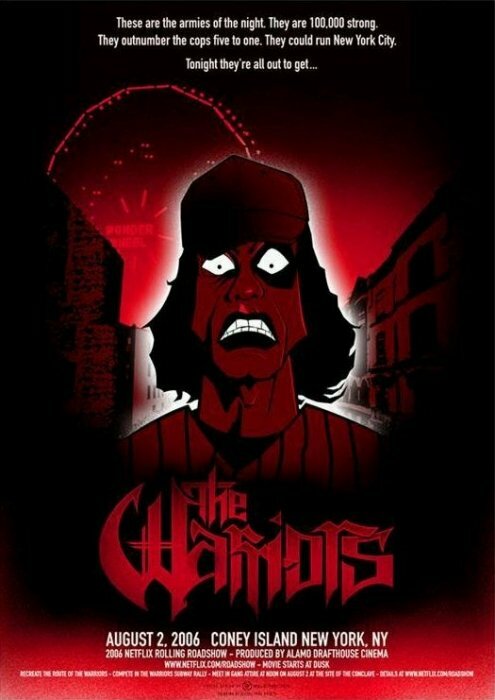 The Warriors Posters by One TwentyThree, I love this and I think ferris wheel may still be here, its on my to go to list. 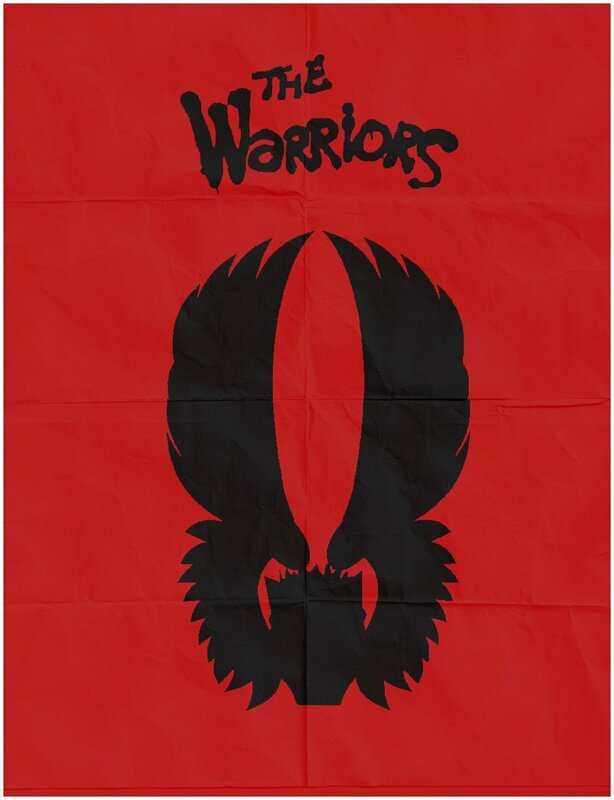 just after the firestation in Ghostbusters. 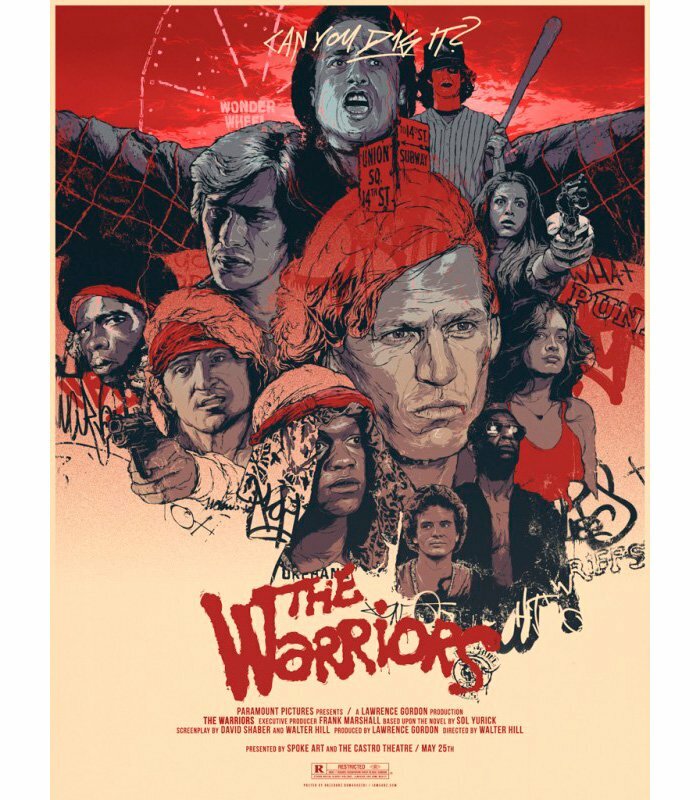 Another one from the Mondo archives this time from Bobby Dixon who sounds like an old Brookside character, more of his work here.